When we think of reproductive justice, our minds tend to gravitate towards subjects like abortion rights, maternal health, and access to birth control. In Trump’s America, it’s become easy to manufacture divisions among different advocacy issues simply because everyone is fighting to make their communities visible in the face of marginalization. 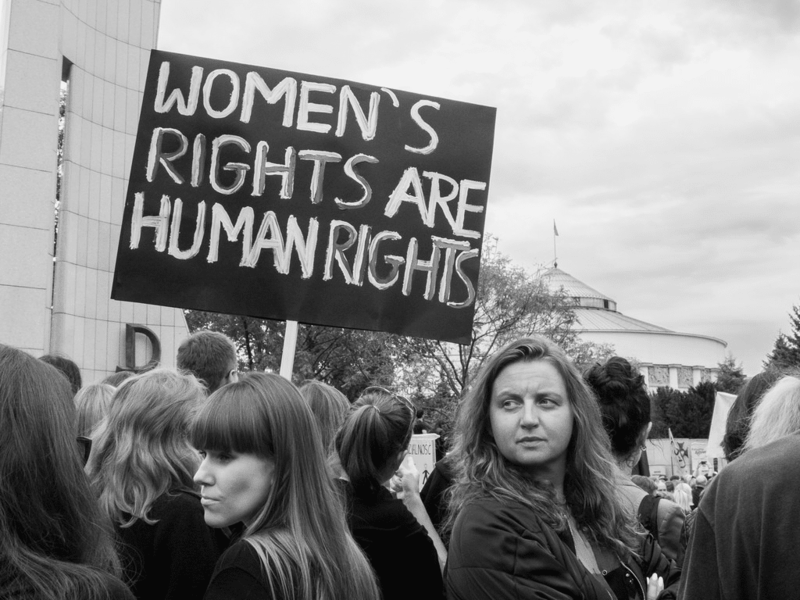 But especially under the umbrella of women’s health, this can cloud our understanding of how interconnected our causes, such as reproductive justice and immigrant rights truly are. Reproductive and immigrant rights activist Alejandra Pablos was detained by Immigration and Customs Enforcement (ICE) earlier in March for peacefully protesting the Department of Health and Human Services at a rally. What Pablos believed would be a routine check-in with ICE for her pending deportation case turned into an opportunity for them to make an example of her activism. She was required to post an $8,000 bond to be released and she isn’t the only one. Since Donald Trump took office ICE has detained a number of outspoken leaders, among them Claudia Rueda and Daniela Vargas. By targeting activists, ICE generates a resounding battle cry, demanding not only the punishment of immigrants but their silence as well. 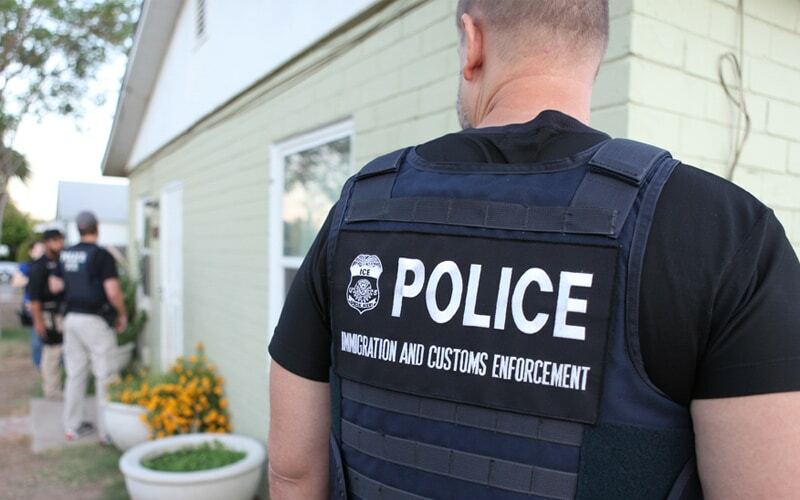 The poor human rights record of ICE is well-established. Beyond their forceful separations of families and raids on immigrant communities, ICE facilities and procedures have long been under scrutiny. The Human Rights Watch released a report nearly a decade ago raising concerns about the health care accessible to women in immigration detention and it seems that matters have only grown worse. Late last year, immigration advocates noticed a great increase in pregnant women being detained without specific cause. Originally, standard procedure was to always release pregnant people unless due to extraordinary circumstance. Months after their new rule was implemented, ICE confirmed that they no longer guarantee the release of pregnant detainees. While ICE says that this has been their policy since December 2017, some immigrants’ rights advocates believe the rule was quietly changed as early as August 2017. As ICE continues to imprison undocumented immigrants, the already overcrowded detention centers have become even more hazardous for pregnant detainees. Since December, ICE has detained over 500 pregnant women. With lack of proper medical attention and poorly regulated facilities, reports of miscarriages are occurring and increasing. Well-known studies have shown the negative effects of stress during pregnancy and the stress brought on by detainment and the threats of deportation is undeniable. While there is no definitive way to show causation between ICE detainment and miscarriages, the correlations exist. The Office of Refugee Resettlement (ORR) has also become an increasingly controversial figure in immigrants’ health. 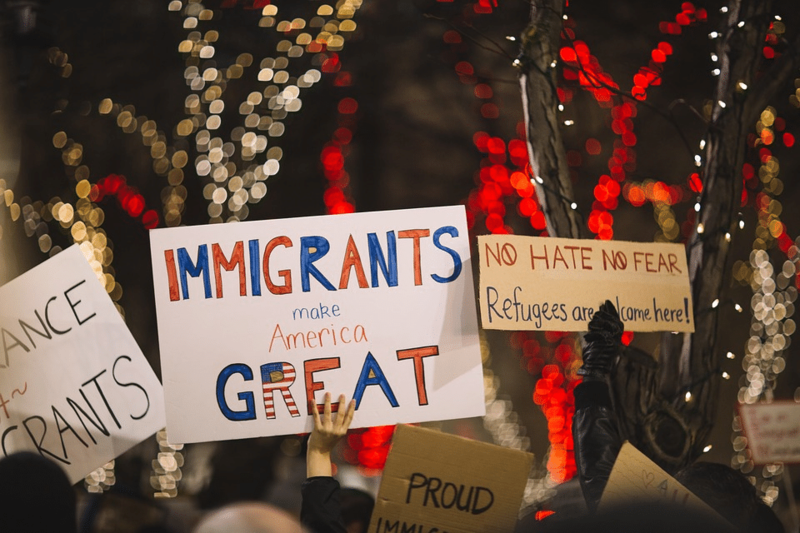 ORR’s core purpose is to find homes and provide health care for immigrants with refugee status, including undocumented unaccompanied minors whose legal cases are still pending. But Scott Lloyd, the head of ORR, has decided that all abortion requests from undocumented minors must be directly approved by him. This change had no legal nor logistical cause, but was rather ideologically driven by his history of anti-choice rhetoric. Lloyd requests spreadsheets every week about any unaccompanied minor who has asked for an abortion and how far they are along in their pregnancy. He has even personally flown out to meet a pregnant minor to try and talk her out of getting an abortion. In the first year of Lloyd’s tenure, he has received seven abortion requests and denied every single one of them. Lloyd’s obsessive meddling is an abuse of power infringing upon these women’s rights and their health. The ACLU is representing four of these undocumented minors, each under a Jane Doe pseudonym. Their fight has been called #JusticeforJane and their stories stand as a reminder of the continuing struggles at the intersections of immigration, race, and reproductive justice. So far, the ACLU has been successful in attaining abortion access for all of them. They also earned a class action ruling, meaning that the ORR is currently unable to block abortion access for every undocumented minor in federal custody. Trump officials are currently appealing that ruling. Scores of advocates and lawmakers, including Senate Health Committee ranking member Patty Murray, have called for Lloyd’s resignation and many have even called for the abolishment of ICE. 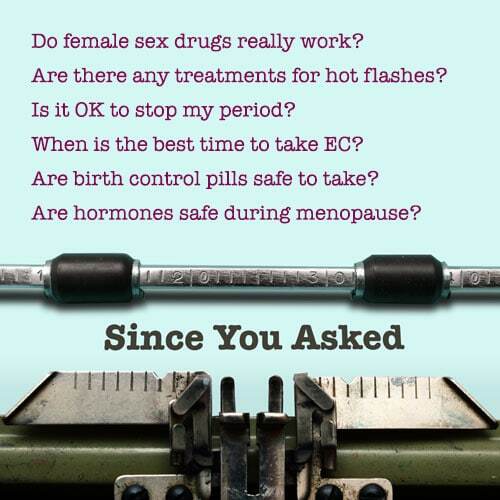 Just as the existence of women is more complex than a single face, women’s health is not a singular issue. Immigrant women maneuver attacks on their reproductive health, documentation status, and often their racial identity. Many must deal with other intersections, such as disability or socioeconomic class. Health care access is under attack for all women, but drastically more so for women who live at these intersections. Immigrant Latina women are four times less likely to have health insurance than white women, and undocumented immigrants and individuals with DACA status are not currently covered by the Affordable Care Act. For every statistic you hear about setbacks for women’s health, the situation is often worse for immigrant women. This is why it’s crucial to recognize how ICE and other anti-immigrant policies endanger immigrants’ health. How can we celebrate the progress for women’s health initiatives when many immigrants cannot access the care they need due to legal status? Or when families are mercilessly separated to further an agenda? These questions dehumanize immigrants by hindering their ability denying to care for themselves and preserve the well-being of their families. Our allies at SisterSong define reproductive justice as “the complete physical, mental, spiritual, political, social, and economic well-being of women and girls, based on the full achievement and protection of women’s human rights.” If the goal of reproductive justice is to advocate for a holistic state of well-being, then we have to examine how ICE drastically limits that for immigrants no matter their legal status. It’s a basic human right. The United States has a long history of putting women’s health at risk and we’re still grappling with this reality under Trump. But that risk has always been considerably greater for people at the margins of society, especially immigrants, women of color, the LGBTQ community, women with disabilities, and everyone within and beyond those intersections. In our fight for reproductive justice, it is not enough to focus on the forefront issues. The greatest call to action is not to divide ourselves due to difference, but to find solidarity in the ways we can amplify each other’s voices. Our identities are multi-dimensional, and our advocacy must be too. Besides, this isn’t Trump’s America. It’s ours.